The Seattle International Comedy Competition (and its sister event, The San Francisco Comedy Competition) is one of my favorite projects to work on. It’s a great showcase for emerging talents, delivers an evening of raucous entertainment to audiences, and is presented by one of the undersung OGs of comedy: Jon Fox. 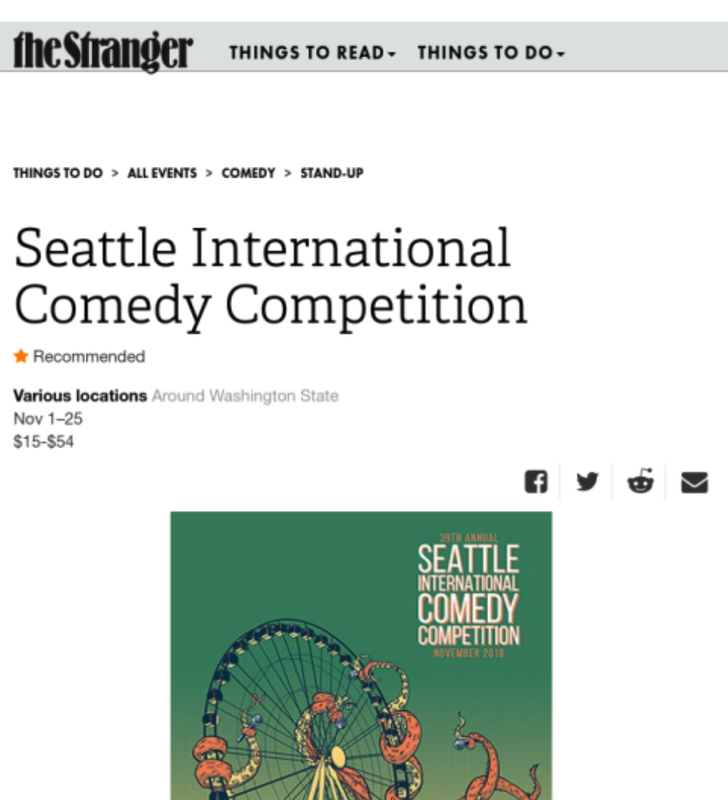 Event picks in the most influential outlets for ticket conversions: The Stranger and Seattle Weekly. Feature stories in the Queen Anne & Magnolia News, and UW Daily. Coverage from arts & culture influencers The Evergrey, What’s Up NW, and Creatively Cloe. Regional pick up in Everett, Bellingham, Bainbridge Island, Vashon, Olympia, and Spokane. National pick up from Broadway World.